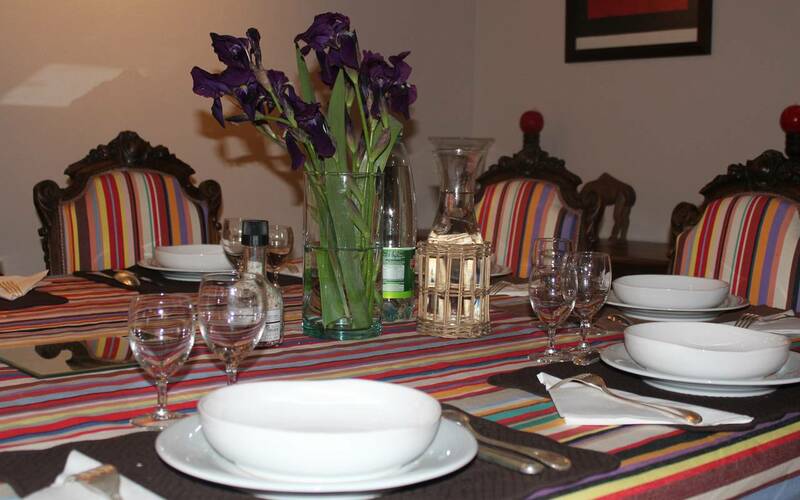 We propose every Monday and Thursday evening, during July and August, guest dinners. During the other months of the year it’s by reservation only (from 10+ persons). It’s a moment of conviviality where different generations, nationalities, professions opinions and tastes mix. A special alchemy seems to operate and the evenings are always enjoyable. 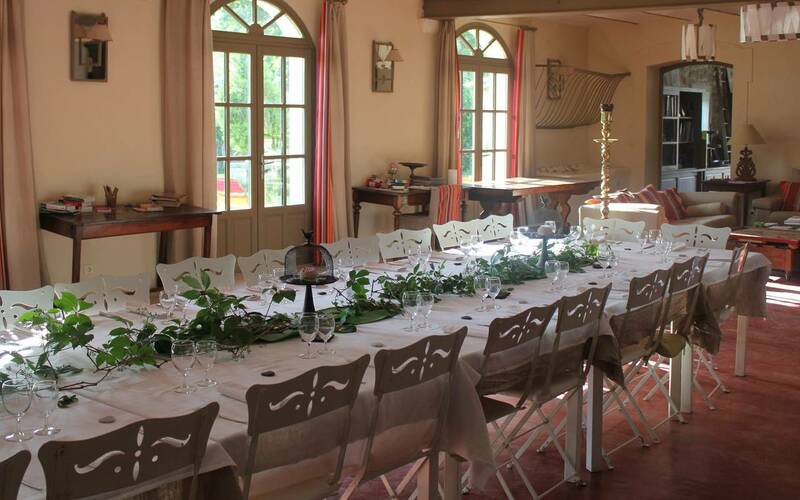 Our speciality is Provençal cuisine, prepared using fruit and vegetables from our garden or local and seasonal products. A unique menu is prepared with an apéritif, starter, main course and dessert. Time 8pm. Price: €32 adult et €20child (less than12 years).  Wine Menu consisting of our local wines, Costières de Nîmes €18/bottle. 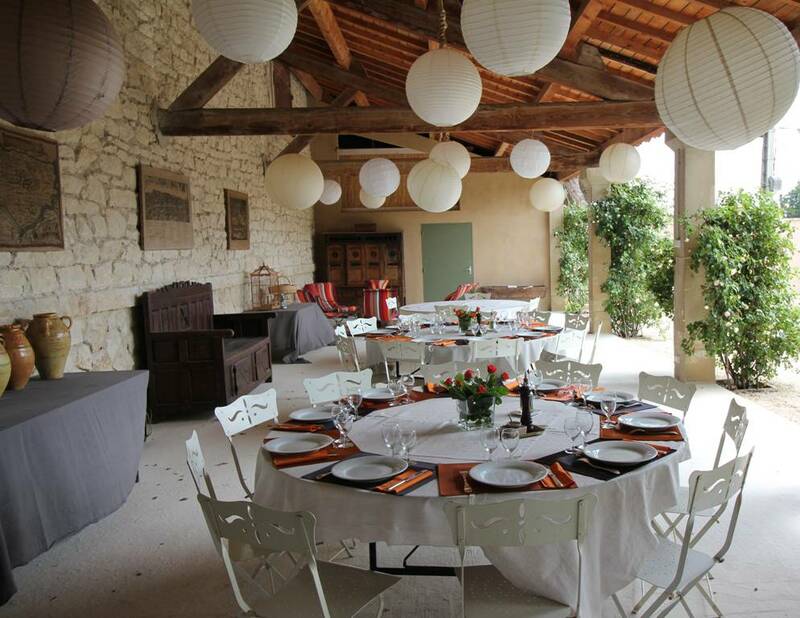 We also have the good fortune to be surrounded by a multitude of excellent restaurants, with stars and without, country inns, wine bars, bistros and brasseries in Beaucaire, Bellegarde, Tarascon, Arles and Garons…you’ll find their addresses in the Information Booklet placed in each room and apartment. Our vegetable and herb gardens supply our kitchen for the summer guest dinners and our olive groves produce a fruity olive oil to complement it.